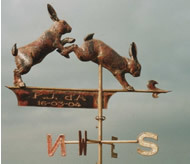 Welcome to Greens Weathervanes. 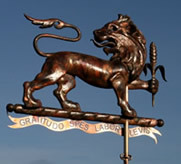 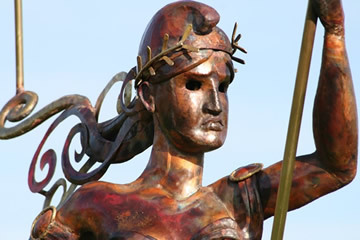 We are metal sculptors with a passion for the custom copper weathervane & fine art tradition; championing the weathervanes 2,000 year old history & testing the boundaries of what is expected. 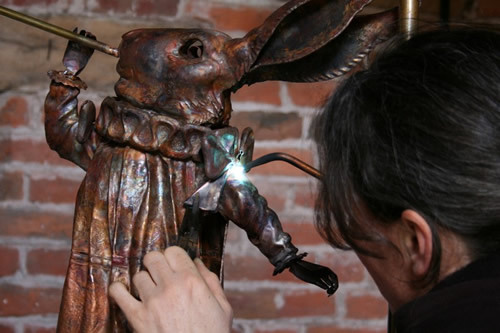 Set up on the island of Martha's Vineyard in 1995, the studio embraces everything from elaborate Victorian designs to realistic birds, heraldry, traditional weathercocks, figurative sculpture, and even whimsical characters like Mr. Toad & Alice's White Rabbit. 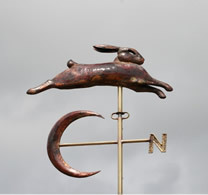 We love wild, moody weathervanes with loads of style and grace! 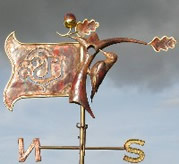 So, after 20 years of coppersmithing, come and see the wonderful world of greensvanes.co.uk......pristinely hand-made in England from the finest sheet copper, brass & bronze with 231/2 K English Gold Leaf..
which changes daily with the weather. 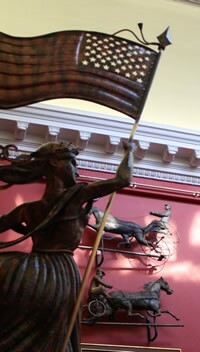 "....to underline the fact that folk art in the UK is alive and kicking, the museum’s commissioned a brand new copper weathervane depicting Liberty brandishing the Stars and Stripes in one hand and a sword in the other by sculptors Karen and Gordon Green." 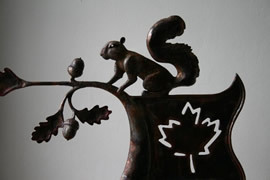 New studio & new work!
" 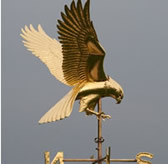 for the ultimate weather vane look no further than Greens Weathervanes"
the banner, the trotting horse, leaping bull, squirrel & the red tail kite. 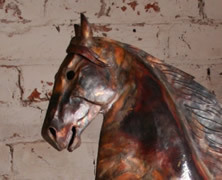 Custom commissions welcome. 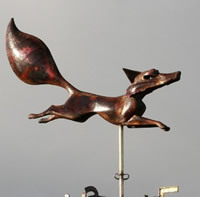 Not all our custom weathervanes are featured within the portfolio, so if you see something you like just contact the studio. 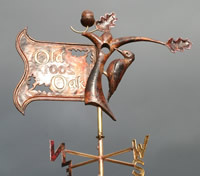 2013: Back to our Roots: Ornate weathervanes are back in style! 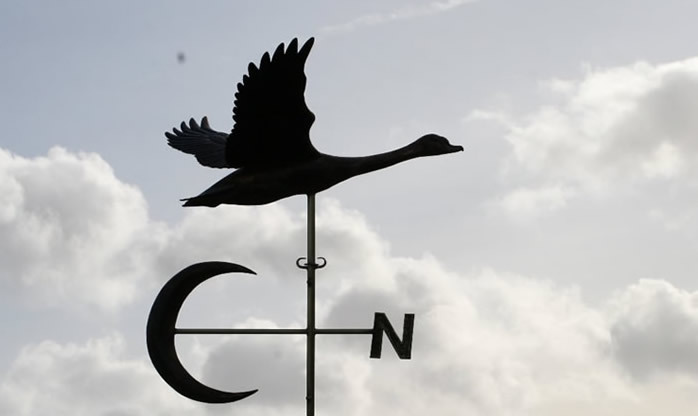 Oxford University, Brighton College and Chelsea Flower Show all went "green" with large ornate copper weathervanes from Greens Weathervanes.